NOTE: We are actively monitoring weather conditions and alerts. 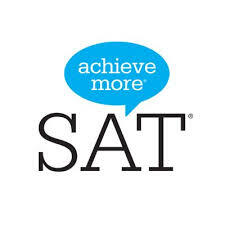 As of Monday morning, we expect to move forward with SAT NCR testing as scheduled for Wednesday for designated Seniors. ROOMS: You will find a listing of test rooms in the display cases on Tuesday and Wednesday morning. Go directly to your test room on Wednesday at 7:25am. If you are late or absent, there are no make-up options. PROCEDURES: Follow all testing rules found in the SAT Student Guide and as told to you by your test administrator or room proctor. Any testing rule violation will invalidate your test. If you paid a fee, it will not be refunded. (You may refer to the paper copy given to you when you pre-bubbled. *You may bring a snack or water forduring break – but they must be sealed and packed away/put away during testing. They may not be out during testing.